SpyOffSpyOff VPN is a European VPN provider based in the Republic of San Marino. They’re relatively new to the VPN game, but already offer a decent network of 395 servers in 21 countries. The technical specs of their VPN look good – OpenVPN, 256-bit encryption, no traffic logs, and a free trial. SpyOff offers two paid plans, each with a 15-day free trial, and a 14-day money-back guarantee. You need to register and submit your personal and payment details to qualify for the free trial, which is a potential turnoff if you’re after privacy and anonymity. 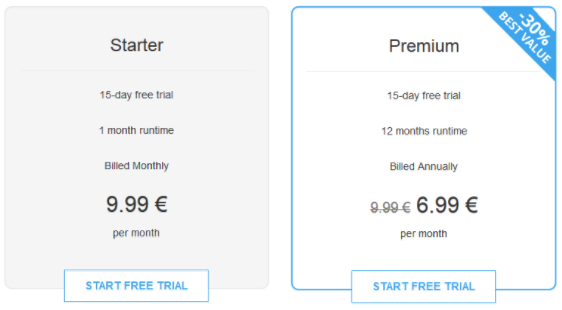 The Starter subscription kicks in at 9.99 euro (roughly $11.74) billed monthly. Premium will set you back 83.88 euro, or $98.59, billed annually. There doesn’t seem to be any difference between the two plans except for the discount for the long-term subscription. Both plans allow an unlimited number of connections, uncapped bandwidth, and the same features. One of the major drawbacks here is that they only accept credit card payments, and you get tied to the rate exchange fluctuations that can affect the price. No love for Bitcoin or PayPal. 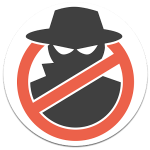 SpyOff provides native clients for Windows desktop and mobile, Mac and iOS, and Android devices. Currently, it doesn’t support Smart TVs. 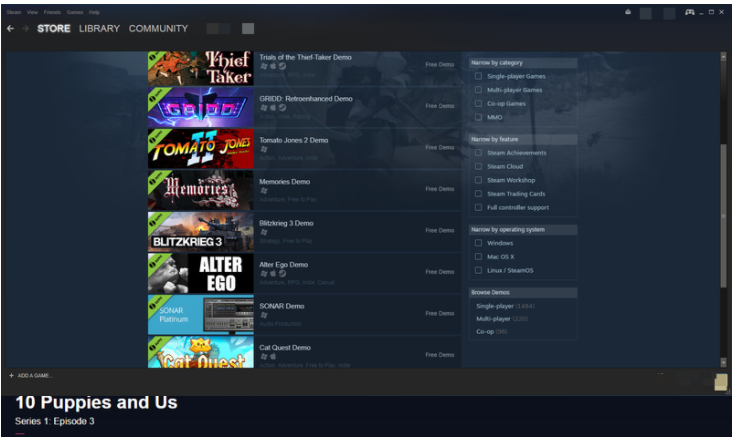 The trial period gives you access to all features without any annoying bandwidth caps. The desktop app is good-looking and functional, and you can use it minimized or full-screen, which is particularly convenient for viewing servers based on ping. 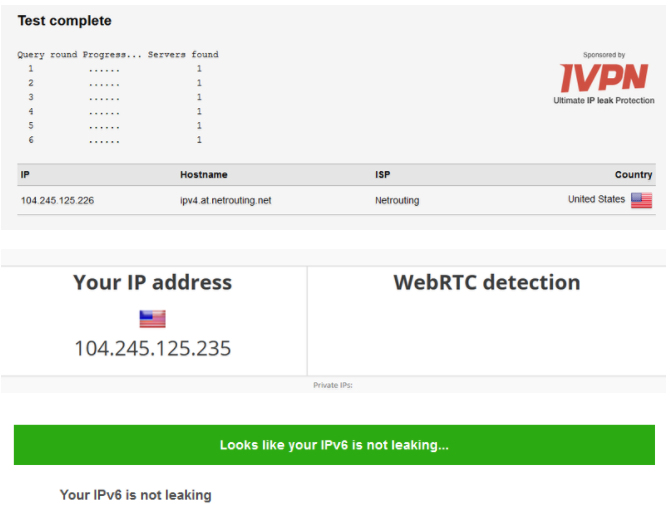 The app’s main window displays the most relevant information like the IP, locations, servers, and the Connect button. By default, the app suggests the optimal server based on your current location and the mode you choose. You can also set the app to keep a detailed log and display tooltips. Overall, I found the client straightforward, sleek, and fast. I appreciate how the app shuts down when you click “close” instead of running in the background while you’re not using it. The Android app feels and looks the same, but it doesn’t have any settings to tweak – just the locations list. The customer service works during office hours, so expect a degree of back-and-forth, but the website offers a knowledge base of guides and FAQs. The service seems to be geared toward the German-speaking audience, with the English coverage mirroring the German content. 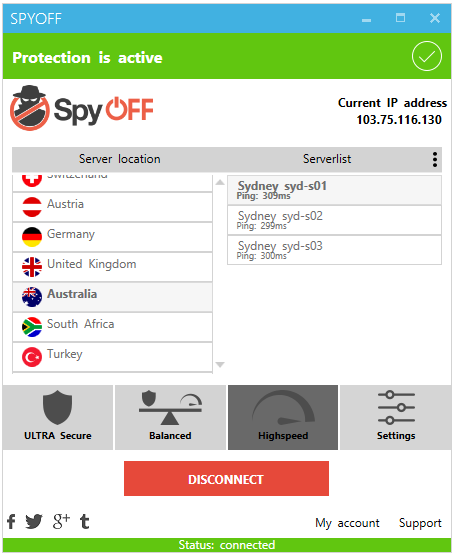 ​You can use SpyOff on as many devices as you wish, and the selection of nearly 400 servers in all the meaningful locations should be able to cover most of the obvious VPN use cases. The Settings are based on the three connection modes – Ultra Secure, Balanced, and High Speed. By default, each mode is pre-configured to deliver either maximum security, speed, or a mix of both. For instance, Ultra Secure mode relies on OpenVPN, Balanced on L2TP, High Speed on PPTP. 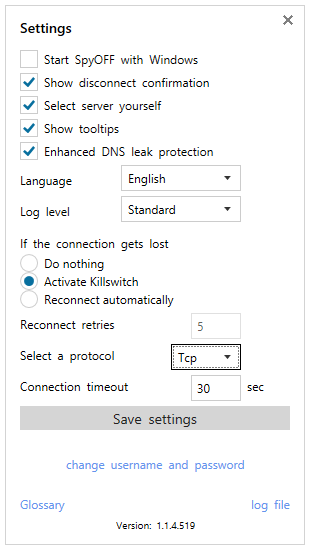 The set of customizable settings is identical for all modes, and you can enable a kill switch, an auto-reconnect feature, a DNS leak protection, and hide or unhide the servers list. I’d say, use the Ultra Secure mode at all times because it relies on OpenVPN, with DNS leak and a kill switch enabled. The speeds were reasonable, not stellar. I tried during peak and regular hours, and the performance didn’t change. Understandably, the closer your location to the server, the better is the performance. So in my tests, the US servers performed better than the EU ones, while the Australian servers were rather sluggish. It’s always satisfying to get the good readings in the security tests, as a leaking VPN is even more dangerous than a no-VPN unencrypted connection. On the bright side, it successfully unblocked BBC iPlayer (both on desktop and mobile) and Steam US libraries so I could take advantage of the time-limited freebies and region-locked discounts. SpyOff is based in the Republic of San Marino, which is a micro state located in northern Italy. I couldn’t immediately find the information on San Marino’s data retention laws. SpyOff’s Privacy ﻿﻿Policy and ToS are fairly short but suffer from the obscure legal speak, which I don’t appreciate. The provider doesn’t log your traffic, which is good. They do keep your personal and financial information while you’re their client, and the fact that they accept no payment methods other than the major credit cards is going to shun many privacy-seeking folks. Also, they don’t disclose technicalities behind the encryption they’re using aside from the fact that it’s 256-bit. But the most troubling aspect that caught my eye was the reliance on the third parties. I take it they don’t own their servers, so your data travels through an undisclosed number of third-party hands. That’s not the perfect case scenario for a VPN if you ask me.